EDITOR’S NOTE: This is the first article in a year-long tribute, honoring the 40th anniversary of the Conservative Resurgence of the Southern Baptist Convention. HOUSTON – On the evening of June 11, 1979, Southern Baptist leaders Adrian Rogers, Paige Patterson and Jerry Vines knelt on the floor in a Houston hotel room. The gathering was solemn and their prayer intense. As a result of the meeting, Southern Baptists would begin to change the course of the convention by declaring once again their belief in the perfect truthfulness of Scripture. Earlier that day, Rogers – then the pastor of Bellevue Baptist Church, Memphis, Tenn. – followed W.A. Criswell in preaching at the Southern Baptist Pastor’s Conference. As Rogers walked onto the stage, Criswell – then the pastor of First Baptist Church, Dallas – shared his forecast for the SBC annual meeting, which would start the next day: “Well, this will be a great convention if for no other reason than to elect Adrian Rogers as president.” The crowd erupted with cheers. But there was one problem. Rogers had no desire to be nominated as the SBC’s president. Then two missionary prayer-warriors reached out to Rogers, convinced that he should accept the nomination. Their appeals, Rogers recalled, “really shook me, because I felt, well, am I just recalcitrant in missing God’s will?” Nevertheless, he and his wife, Joyce, still hesitated. Then, that evening, as Rogers and his wife walked into their hotel, they met Patterson and Vines. “What are you going to do?” they asked Rogers. “I am not going to allow myself to be placed in nomination,” he answered. Among Southern Baptists, some leaders – led by Patterson, then a faculty member at Criswell College in Dallas, and Paul Pressler, an attorney and member of Houston’s Second Baptist Church – agreed. They realized that the SBC needed a course correction. 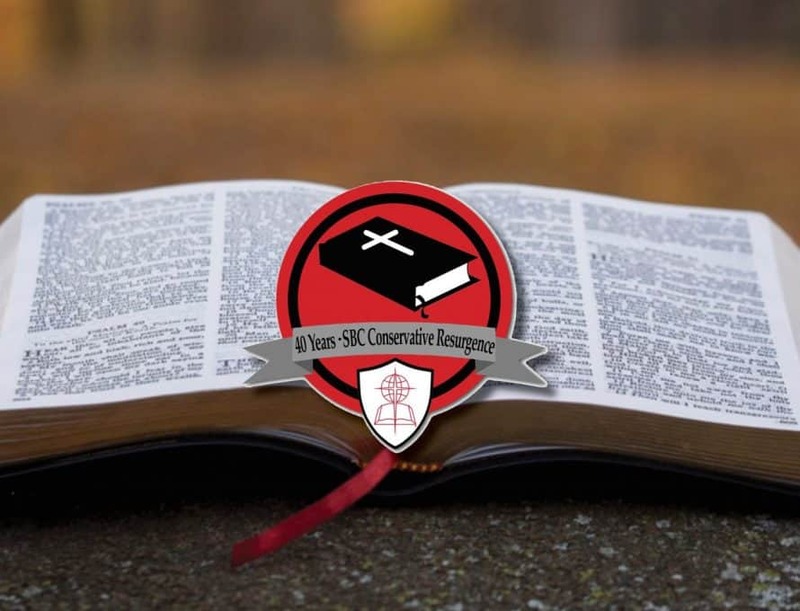 The churches of the convention, they said, affirmed the Bible’s inerrancy – that is, Scripture’s perfect truthfulness in every matter, even regarding history and science. Therefore, the convention’s leaders and seminaries should affirm the same truth. But to make a course correction, Southern Baptists needed a president who also believed in biblical inerrancy, who could make committee appointments that would eventually guarantee biblically conservative leadership in the convention’s seminaries. As Patterson and Vines recognized on the evening of June 11, 1979, Southern Baptists needed a president like Adrian Rogers. So that night, these three men doubled down in prayer. They prayed into the early morning hours on the day, June 12, when the presidential election would take place. Around 2:30 a.m., Rogers’ wife – who was in bed, also praying – turned toward her husband and held up 10 fingers. On a scale of 1-to-10, she was absolutely sure now that he should run. This was the sign Rogers had looked for, and he agreed to accept the nomination. That afternoon, running against several other men, Rogers gained 51 percent of the vote on the first ballot. He was now the SBC president, and the battle for biblical fidelity in the convention – now known as the Conservative Resurgence – had truly begun. Yet, for Rogers, the battle that began with his election was not about any single person, nor was it about Southern Baptist politics. Rather, it was indeed a battle for the Bible.